Developer : iHealth Ventures LLC. 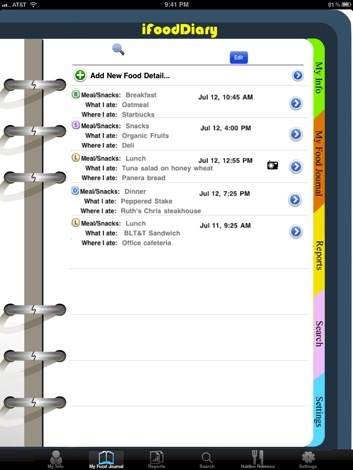 iFood Diary is an easy to use app for iPad to help you keep track of your daily food intake. It helps you keep a journal of the foods you eat and the beverages you drink each day. This app is also a valuable tool for diet analysis for maintaining a good health. Dietary habits and physical activity play a key role in the prevention of overweight and obesity. According to American Journal of Preventive Medicine, keeping a "food diary" may help you lose twice as much weight. 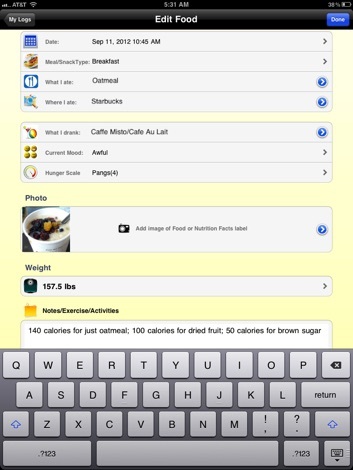 Carry around iFood Diary in your iPad all the time to keep on top of your diet. Designed from the ground up for the iPad. 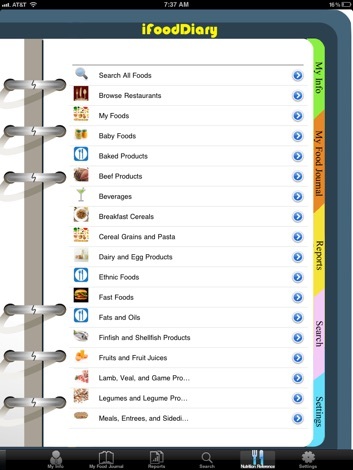 * EASY and INTUITIVE interface to journal daily food intake. * MONITOR changes in your diet over time. * SEARCH nutrition information from thousands of different food products, restaurant menu items as well as food brands to make healthier food choices. * Snap PHOTOS of your favorites food and drinks from your camera or album. Share with friends and food lovers. * Manage emotional eating by tracking how you're feeling when you eat, your mood, hunger scale. * COMPARE food intake from day to day. Track healthy vs junk. Track your food consumption. * EMAIL and SHARE your Food Diary with your nutritionist. You can also email to your self for backup and sharing. 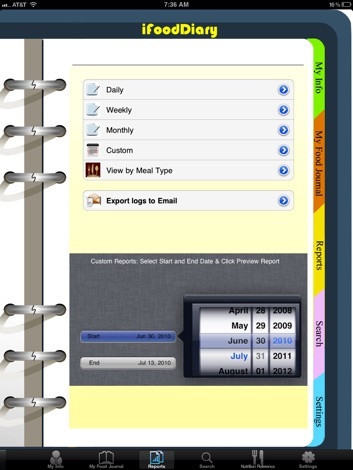 * CUSTOM Reports - Daily, Weekly, Monthly , View by Meal Type. * EXPORT to Microsoft Excel : data is semi-colon delimited. * Eat Well, Live Well, Be Well. * Record your food intake to make healthier choices. 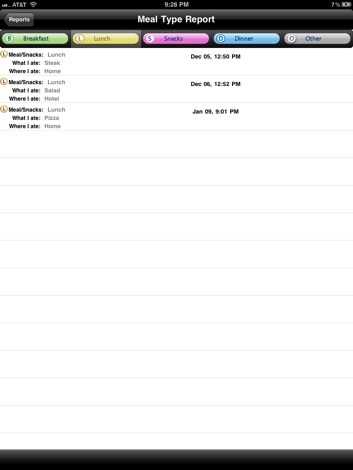 * Add free text NOTES to each log. * Obesity can increase the risk of heart disease, maintaining a food diary can help in weight loss. * SEARCH your food history for patterns, trends, and correlations. * Track your daily fruit/vegetable intake for healthy lifestyle. * Perfect Diary ***** by Oprah fan. I have been looking for an app that was a food diary, but not tied to calorie counting. * Love it **** by Neek68. I really love this app. This app saves diet information and calculated data. In addition to maintaining a convenient log of your diet history, the app is also a valuable tool for diet analysis which may help you and your doctor decide on the best diet for keeping a good health. ﻿אפליקציה לסטודנטים ומרצים הלומדים ועובדים במכללה האקדמית להנסדה ע"ש סמי שמעון. LUDO is the best way to spend quality time with your family! It is a game you will fall in love with. You can play with up to 4 friends or robots if you are alone. There are four themes available and realistic 3D dice. More by iHealth Ventures LLC.